There’s a lot going on under the hood in Lightroom – things that aren’t obvious, and aren’t talked about much, not even by Adobe. For example, all the Tone sliders in the Basic Panel are image-adaptive – that is, their behavior changes based on the image content. The two most important image-adaptive behaviors are the automatic highlight recovery, and the automatic black-point adjustment, which kick in when a raw file has overexposed highlights or underexposed shadows. The seven-minute video above explains how the automatic highlight recovery and automatic black point adjustment work. The full 44-minute video about the Basic Panel Tone Controls has much more, including an in-depth look at all the Tone sliders, an explanation of why Adobe’s default settings might not be the best starting place for many images, and demonstrations of how I approach processing both high-contrast and low-contrast images in Lightroom. 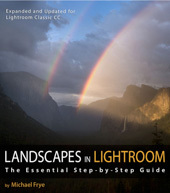 That full 44-minute video is just one of 17 videos included in my Landscapes in Lightroom ebook and video package. Other videos delve into the Adjustment Brush, Spot Removal tool, HDR Merge, Panorama Merge, and much more. And the ebook itself includes nine examples where I take you step-by-step through processing a variety of images – high contrast, low contrast, black and white, HDR, panorama, and a Milky Way photograph. Plus you get to download the DNG raw files so you can follow along with each example. Thank you, Michael. Very useful information. You’re welcome Bob – glad you found this helpful. 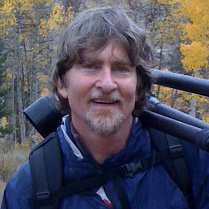 Thanks DCraig – I’m glad you’re finding Landscapes in Lightroom helpful!